A medical doctor identified as S.Ç. 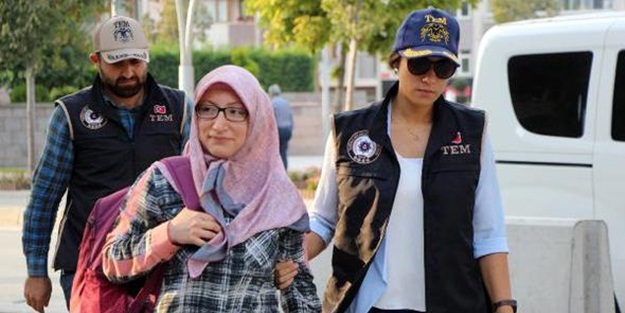 has been taken into custody as part of an investigation into Turkey’s Gülen group in the Black Sea province of Bolu, pro-gov’t daily Yeni Akit reported on Thursday. Arrest warrant was issued for the doctor late on Wednesday and hours later police rounded up the suspect, who is accused of having used ByLock mobile app. The military coup attempt on July 15 killed 249 people and wounded more than a thousand others. Immediately after the putsch, the Justice and Development Party (AK Party) government along with President Recep Tayyip Erdoğan pinned the blame on the Gülen group and initiated a widespread purge aimed at cleansing sympathizers of the movement from within state institutions, dehumanizing its popular figures and putting them in custody.